The Jordan Super.Fly will be released in a low-top edition this January 2013 – a shoe that is expected to make waves this month. 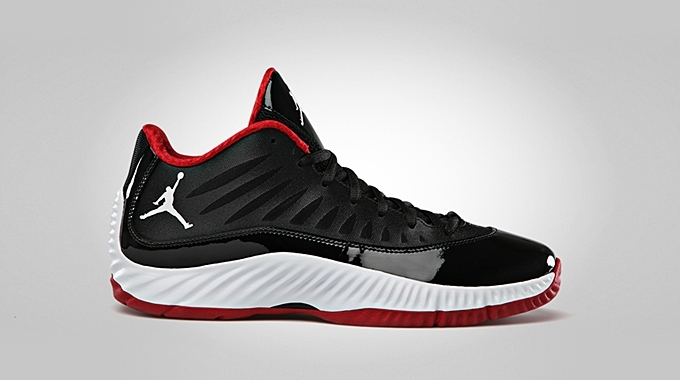 The Jordan Super.Fly Low will be available in the market this month in Black/White-Gym Red colorway. The upper part features a black Hyperfuse qualities and a patent leather mudguard with Zoom Air and Lunarlon cushioning system that sits on a translucent outsole. This will be available for $115 so start saving your money for this excellent kick now!